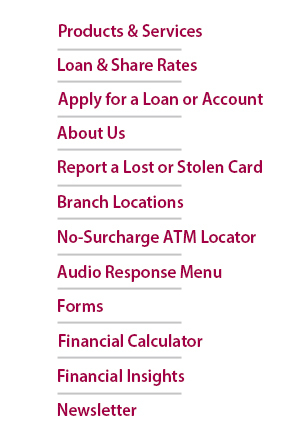 Financial Trust Federal Credit Union is a member of the National Surcharge-Free ATM Network! with over 900 no-surcharge ATMs in Western New York and 43,000 nationwide. PLEASE NOTE: Some Allpoint ATMs may display a surcharge screen during your Allpoint ATM transaction. If this happens, simply enter "Yes" to accept the surcharge and proceed with your withdrawal. YOU WILL NOT BE CHARGED THE SURCHARGE. Your receipt will show that you were not charged a fee. Don't have an ATM or Visa Check Card yet? Click Here to apply!